“Ros is a knowledgeable, enthusiastic and inspiring trainer. 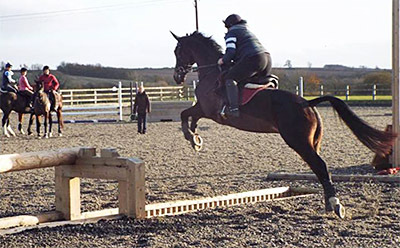 She constantly has new and fresh training ideas, focusing very much on the technical side of jumping, i.e. difficult lines, altering strides, skinnies and corners, rather than just jumping big jumps! (she does that as well!) I can’t believe how much my daughter has improved, both in her ability and her confidence, since training with Ros.